TEXAS CITY, Texas -- The Department of Public Safety confirmed a body was found in Texas City Wednesday afternoon in the search for Hazana Anderson. According to the spokesperson, the body was found off of State Highway 146. The spokesperson also said College Station and Bryan Police were on scene. Efforts will continue to positively identify the remains and these efforts will take several weeks. Two year old Hazana Anderson was reported missing by her mother early Sunday morning. 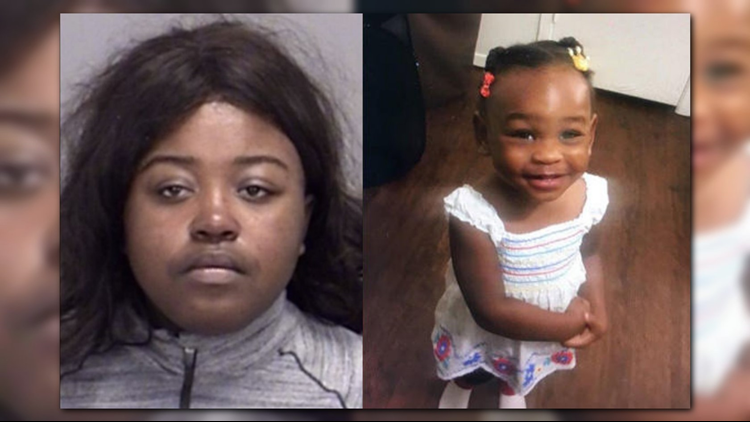 Her mother, Tiaundra Christon, was arrested Monday for filing a false police report and child endangerment.